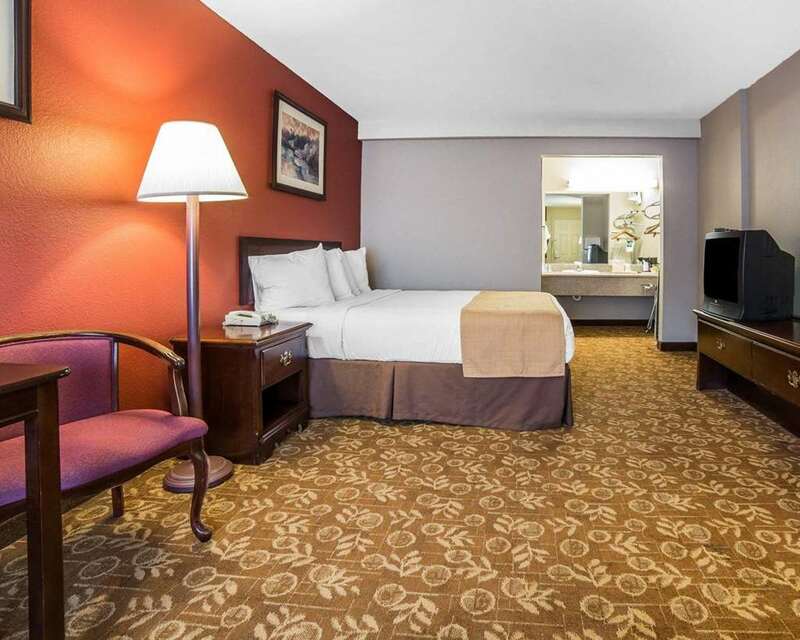 Get more value out of your stay at the Quality Inn and Suites Minden US-395 hotel in Minden, NV near Carson Valley Museum and Cultural Center. Nearby attractions include Western Nevada College Douglas Campus, Ironwood Stadium Cinema 8 and Heavenly Ski Resort. Get your moneys worth with amenities like free breakfast, free coffee and a copy and fax machine. Unwind on our sundeck, grab a treat from our popcorn machine or relax in guest rooms equipped with microwaves, refrigerators, hair dryers, coffee makers, desks, irons and ironing boards. Also, earn rewards including free nights and gift cards with our Choice Privileges Rewards program.